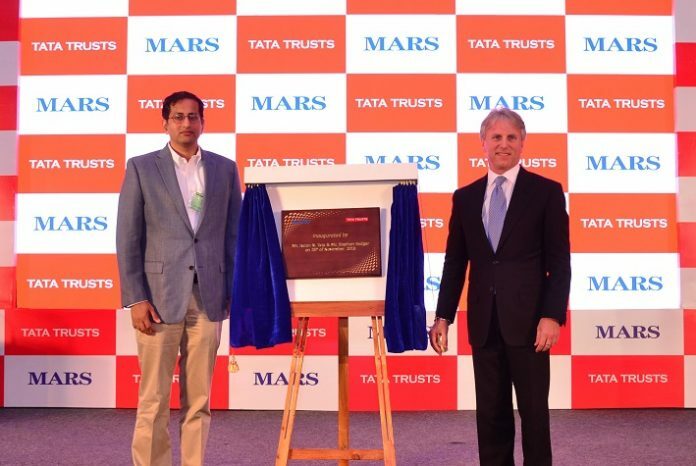 (L to R)_Mr R Venkataramanan, Managing Trustee of the Tata Trusts and Mr Stephen Badger, Chairman of Mars, Incorporated, unveiling the plague and celebrating the partnership. Pune: Mars, Incorporated and the Tata Trusts, celebrated the next step of their strategic partnership to support India’s goal of contributing towards helping address nutritional gaps for all population segments on 28th November in Pune. One of the ways they will be working to deliver enhanced nutrition is in the form of protein-rich, nutritious products manufactured locally. The new collaborative venture was inaugurated by Mr Stephen Badger, Chairman of Mars, Incorporated, and Mr R Venkataramanan, Managing Trustee of the Tata Trusts, as well as senior officials from the two organisations. The partnership will enable both organisations to accelerate their contribution to addressing some of the critical challenges facing society — in this case supporting the availability of affordable nutrition. Mars will be fulfilling the work through Mars Edge, its division dedicated to human health and wellness through targeted nutrition. Mars Edge was set up to use the latest science, data and technology to create easy, enjoyable and tailored nutrition solutions that are a seamless part of everyday lives and deliver measureable benefits. The Tata Trusts are implementing a three-pronged approach in the area of malnutrition. The work areas comprise helping the government strengthen existing systems like the Integrated Child Development Services (ICDS); working with the government on policy and advocacy on interventions like food fortification; and supporting direct production and distribution of affordable nutritious products, an example of which is the partnership with Mars. 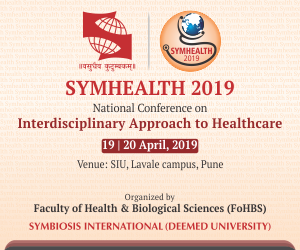 In addition to nutrition-specific projects, the Trusts believe that achieving desired nutrition outcomes requires multi-sectoral interventions in poverty alleviation, health, education and sanitation. The Trusts support and implement large initiatives on all these fronts. The genesis of the partnership is rooted in this commonality of vision and objectives. The collaboration brings together both organizations’ unique expertise. Mars Edge provides innovation and product development capability, sales and marketing expertise, and Tata Trusts bring knowledge of nutrition in India, understanding of local communities and their needs, and a distribution network. Mars and the Tata Trusts signed a Memorandum of Understanding in 2016 to, among other objectives, address nutritional challenges in India. The first output of the partnership will see the launch of a new innovative product for school going children: GoMo™ Dal Crunchies, which is rich in protein and micronutrients. GoMo™ Dal Crunchies will be produced at a Mars facility in Pune, and distributed in Uttar Pradesh and Maharashtra via select partner organizations. Next articleThe wonder molecules of tomorrow!